Murfin, Inc. got its start as Murfin Drilling Co. in 1926, a family-owned business now in its third generation, with David Murfin as chairman and CEO. Based in Wichita, Murfin consolidated its assets in 1991 to become Murfin Inc. and today conducts business in a variety of fields. Murfin Drilling Co. continues to be one of the top oil and gas production companies in Kansas. Murfin Inc.’s holdings also include Murphy Tractor and Equipment Company, one of John Deere’s largest North American construction dealers. 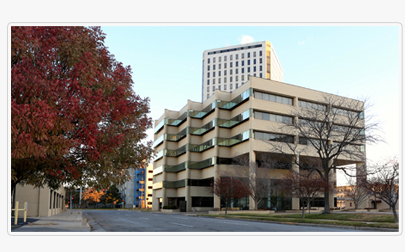 Other holdings include radio stations, extensive commercial real estate ventures, interests in two local banks and ownership of Lift Truck Center Inc., selling and servicing industrial forklifts with facilities in Wichita Kansas, Springfield Missouri, and a new location in Webb City, MO. Murfin Inc. is the managing member partner of MV Purchasing, LLC, which is engaged in oil and gas marketing and transportation, and MV Oil Trust, a publicly held company that distributes royalties from oil and gas properties located in Kansas and Colorado.